Lance Avery Morgan: We’re just thrilled to have you, again, be a part of this. The Long Center is a very important deal forAustin, Texas. You know we’re the only city of our size that doesn’t have a cultural event center of this level, before now. So it’s neat that you’re here to inaugurate it and we just couldn’t be more thrilled to have you present. 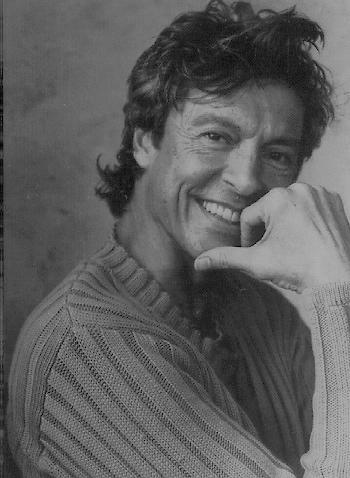 Tommy Tune: I’m so proud. I’m so proud of everybody for getting this together. Because it’s really, really great. And I’m so appreciative that they built it out of wood. It’s an aesthetic that I really relate to. And, not just because it’s green. I just like, because working in the theater, there’s hardly anything truly new. But the way you get to new is old plus old. Bold plus old equals new. I think somebody smarter than me said that and I latched onto it. That and less for more are my two credos in creating shows. But this is like proof, I’ve never seen it done this well. Did you look at the roof in the elevator coming up? LAM: I did, with all the hail marks? TT: Well isn’t that just it? I mean, that’s my favorite, my favorite thing that they did. Of course those lateral things at the very top, to let the, kind of talk about that. It’s a very worked-out acoustical design. And the acoustics are great. Last night, I go everywhere during my part of the show, and the sound was like perfection. And you know, I was in the old Palmer and I know. LAM: Well, you do. Of course. You have that historical perspective. I forget about that. Now what did you do here…? TT: I saw. I was at UT and Imogene Cocoa came to town in a show called Once Upon A Mattress. And we didn’t get legit shows in Austin at that time, so this was a big deal for us. It was a bus and truck show… you know, the cement fell down and all that, but we were going to see Imogene Cocoa, whom I love, and we were going to see Once Upon A Mattress, with the original Joe Laden staging, and you could not hear or understand a word that the poor woman said. That wasn’t her fault. So it was good for like the Beach Boys, but it was not good for a legit show at all. LAM: And you know, I think everyone has that sort of story, or some story about Palmer Auditorium of yesteryear. TT: Well it was good for certain things. And I think a lot of people graduate from high school at the Palmer. LAM: Yep, that’s true. Just to give you perspective, I’m a fifth generation Texas and grew up here. So I’m not a newcomer. People were supposed to be here for Jack and Jackie Kennedy, you know, that night when he was headed here from Dallas for that big gala dinner. TT: And it was going to be here? LAM: They were on their way here, so you know, yes, it’s interesting how people have their stories about life, and love and liberty and the pursuit of happiness here in Texas and in the Palmer Auditorium, too. TT: They’re part of it. Well this one’s going to be more. I hope they can handle it all. You’ll see, you’ll see… tonight. LAM: I can’t wait. Tell me about growing up as a Texan and how it’s affected your career. I know it’s a common question but I want to approach it again because there’s something about Texans and who achieve things at a high level, like yourself. TT: Well, I have a theory. LAM: Tell me about that. LAM: Wow, that’s such a typical Texas dad approach to it, you know. TT: And they were really great about it because if it had been anything other, I could’ve just stayed here, it would’ve been just fine, but we didn’t have that. Now, we do! TT: We do. Well look at Austin. We have an opera, we have a ballet, and we have a symphony. LAM: Exactly. Now you’ve performed all over the world. You’ve performed in so many amazing pieces of work. You may get asked this all the time, but something I’ve really always wanted to know about you, as a life long fan, Anything that really ranks up there as the cream of the crop, the best of the best, once in a life experience? One you think, it’s kind of an ‘a-ha’ moment because you think ‘it’s never going to get better than this.’ It feeds what you’ve been working toward within your career. TT: I’ll tell you what came into my mind. I’m so surprised what came in to my mind. I’d won my first Tony, and it was for a show called SeeSaw, and we were moving. We did it at the Gershwin Theater first. Actually, it was not called the Gershwin at the time. It’s called the Gershwin now. But I think it was, we were the first hit show in that theater. But we were moving from that theater to another theater, and it was going to take our crew a week to move all the scenery. And so, our producers didn’t want to lay everybody off cause they’d have to pay us, because it was a union rule. So they booked us at the St. Louis Municipal Opera, which is outside. It seats thousands and thousands of people. It’s on a hill and it’s an institution and a tradition in St. Louis. So they booked See Saw there and the Broadway cast came and it had never been done before. It was a Broadway cast playing for one week at the Muni and then we went right back and opened, re-opened in New York. Now, my father did not, never came to New York, ever. If he had, he wouldn’t have been able to sit in a Broadway house because he’s claustrophobic. He has to have the big out; he was Texan through and through. Or, if it’s a theater it’s gotta be a big theater. So he drove up with my mom to St. Louis, to see me in my Tony Award-winning performance. After the show, there was this cyclone fence that separated the dressing rooms because they were like, outside, with the people. There were so many, I was real cute, and there were so many ‘tweens there waiting for my autograph. LAM: You were like a rock star. LAM: That’s a great moment to have. TT: Cause I’ve had a lot of big ones….moments. That one, that’s what came up. Interesting as you get older what you remember. So fascinating. I’m so lucky. LAM: Tell me about the creativity that you see these days as compared to that. Do you think things are headed in the right direction for theater and Broadway with what you’re experiencing? TT: Yes and no. With all the technical progress, shows have become very complicated technically, and there’s adage that you want the audience to go out humming the scenery. People are looking for spectacle, and I prefer a more nuanced theater, where you really feel something from the event. It doesn’t mean it doesn’t have to look beautiful and I certainly want it to be exciting and never boring, but I really I just have a personal preference to a more nuanced theater. So that you’re not being blasted with the advent of the more complicated sound and what you can do with sound and how we’re all…you know when I got to New York, there were no microphones. You just kept the band down and you learned to push it out. Now everybody wears one. TT: You just don’t do Broadway au natural, because nobody can hear it anymore. Their ears have gone out. Other things are amazing. I mean, the talent. See, when I first got to New York, music directors didn’t want the dancers to sing, so they would hire a chorus of dancers and a chorus of singers. Then, with West Side Story it started to shift, that you needed to do both. Now everybody does both and everybody does both extraordinarily well. In the beginning the dancers that had been, the top dancers on Broadway, suddenly, they had to sing, and everybody was running to a voice teacher learning to sing. Luckily, I’d studied voice at theUniversity of Texas. They taught you everything then. So that was another thing. Now they all have voices. I mean, they just can have hugely developed voices. Which again, I don’t know if that’s that great or not. We say, you know, Mary Martin, a fellow Texan, she wouldn’t have had a career, because her voice was what it was, which I love. And you hear her and you know it’s Mary Martin. Today you can hear people singing and they all kind of sound alike. So, you know, that’s a hard question to answer. LAM: Hopefully this one isn’t that hard. You’ve won Tony awards and you’ve been nominated and not won. Tell me what it’s like to win that tony award, and how is it like to be nominated and be acknowledged for your work with the nomination, even if you don’t win. TT: It’s much nicer to win. LAM: I kind of figured that. TT: Quite honestly, I prefer the hits. It takes just as much work to make hit as it does to make a flop. LAM: That’s a great line and so true. TT: It’s the same job. But again, well there’s luck involved, and I don’t know what it is. Sometimes it takes, sometimes it doesn’t. LAM: But when your name is called to win that award. TT: Well, OK, I’ll tell you, quite really truly honestly. It’s awful. Because I’m very, very shy. I’m a rehearsed talent. What I do on a stage, I get there and do it. I think maybe that’s probably one reason that I went after it, because, in life I was retiring, but on stage I was exuberant. And I felt safer on stage than I did in real life. TT: And I think a lot of us are basically shy, and to get over the shyness we can express ourselves through theater and art. I think a lot of artists are shy. Not all but a lot. TT: No, I didn’t have enough self-knowledge but I did know it felt good doing it. I didn’t know that the reason that I felt good doing it was because I felt safe. LAM: Sure, makes total sense. TT: You get to know a bit more. Know thyself. LAM: You’ve been in so many hits. Are there any that you would love to see again, you know redone, maybe interpreted, because you have such an incredible body of work? TT: I think I’d really like to see some revivals of things I’ve done. But I tell you, they revived Nine, and I didn’t want to see it because I’d lost so many people that were in that show. To have to sit there and see other people playing those roles, I just, I didn’t think I could take it, and then finally I got a call from the composer and he said ‘Listen, I want you to come see it. We’re proud of it, and David Lowe the director wanted me to personally invite you and to thank you for having done it so that he could be doing it.’ So, I went. And he totally reinterpreted it and I thought it was wonderful. What was interesting was that the reviews that came out and were better for me than my original reviews of that show. Why? Because they were not remembering it and then comparing it. Isn’t that funny? LAM: Sort of a revisionist history. TT: They, you know, they said, of course the direction was nowhere near what it should be. Isn’t that a trip? TT: It’s the prize for living. LAM: You have such a wide range of, like you say, your hits and your flops. Um, Twiggy. Lots of fun, I’m sure. TT: Oh yeah. Many things. LAM: She’s many things besides fun, I hear. Tell me about that, because you guys were such a smash hit. You two were like the It Broadway duo. TT: I’ve been working on this new show, and I haven’t had any sun. So I’m reading, so today I stayed in and I’m reading the letters of Noel Coward, and his relationship with Gertrude Lawrence, which made me think of me and Twiggy. It’s funny you asked about her, because it’s the same. People just really loved us together, and we loved each other and we loved being together, so it was like that. It was a deep relationship. LAM: Have you had relationships with other colleagues at that level, do you think? TT: Not like that with Twiggy. We were like two peas in a pod. It was because of her that I got The Boyfriend film, and she didn’t know me at all. She had just seen me on television in London. And she told Ken Russell, the director, about me and that’s how I got the job. I didn’t audition for it. They just called me up inCalifornia and said, "We want you to be in The Boyfriend in London." TT: I’m in pre-production for one show and I’m rehearsing another show. The one that I’m in rehearsal for right now, I woke up on January 1, 2008 and realized that this is my 50th year in show business.Fifty years! And I didn’t put it together until I thought, OK. 2008, what were you doing, and I thought oh my God, I got my break when I was 18 at the Dallas Summer Musicals. Back then they produced all their own shows.They would hire a chorus of dancers and singers, brought in the stars and the directors and the choreographers. So, I thought, wow, I can’t let this slip by. I’m putting together kind of a biography in song and dance, and it really is coming out well. I do a lot of talking, and I’ve written it myself. I started getting someone to write it and it didn’t sound right. And this was so personal, so I’ve written it. I just did my first run through right before I got on the plane to come here and it went really well. TT: You know, now I’ve got to go back and make some snips here and there, and I need to explain a little something more. But, I think it’s going to be neat. I’m doing an out of town try out, outside of Boston. Then, ten days later I’m getting on a ship and doing it there. I’m trying to find places where I can do it. I don’t think it’s for New York. I think it’s to be trouped around. I’ve done a big show with a big orchestra, and I’m doing this really, really small. It’s the new reality. LAM: What are you calling this? TT: The whole show has nothing on stage. Except it’s the back wall of the theater and ladders, it’s whatever theater we go to. Part of the new reality. Whatever theater I’m going to is just going to be the back wall of that theater with ladders, ropes and stuff, and I just have a little square of foot lights, like this, marking my playing area, facing the audience like that. TT: I come away from the back and walk, as I step over into the foot lights. I don’t say anything. I just do the time step, and then I explain that the time step is the square root of all tap dancing. And, that time steps in real life are built of everything that you think, and every year and every month, so it’s a narrative. It’s fun to think, when you asked me that question and I answered about my father, that’s not part of the show, I just thought of that. But, a lot of this stuff about my dad, I’ve always talked a lot about my mother and now I seem to be talking more about my father in this show. LAM: Interesting. Well, it’s,you know, obviously our parents are so deeply connected no matter what our ages with everything that we still do. You know, no matter how advanced a career it is. TT: Parents, you only get two. They are rationed. One mom and one pop. LAM: Exactly. It sounds like they hit the jackpot with you as a son. TT: Well I hit the jackpot with them, because my dad loved my dancing. This is Texas in the 40’s, 50’s, especially the 50’s. My dad loved my dancing. He would be so proud of my dancing that when people would come over, and there was a lot of entertaining in the Tune house, he would personally roll back the rug in the living room and get me to dance. I was appalled, because I wanted the stage and the lights and everything. You know, I wanted the whole thing. No, he just wanted me to dance, for the people. LAM: But, he got you up there, obviously. 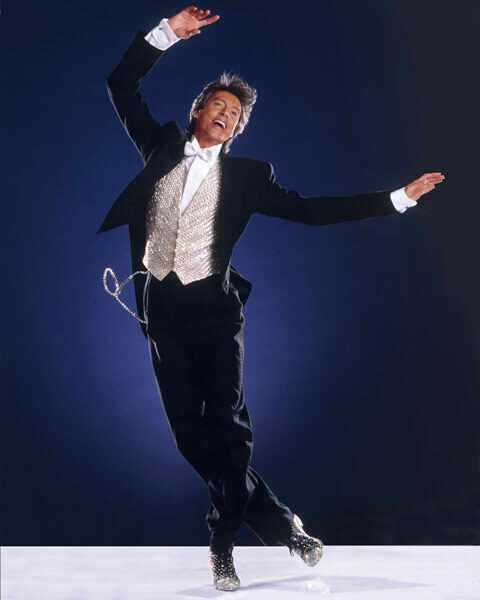 LAM: I’m just so thrilled to get to know this great side of Tommy Tune. I so appreciate your time, and I know that you’re going to be a huge hit tonight, and we’re just, again, so thrilled to have you here. TT: I just have to say that this is such a privilege to be here. To be opening this whole thing. To be hosting it. I’m truuuuly, truly honored. I am so proud of you people who made all this happen.